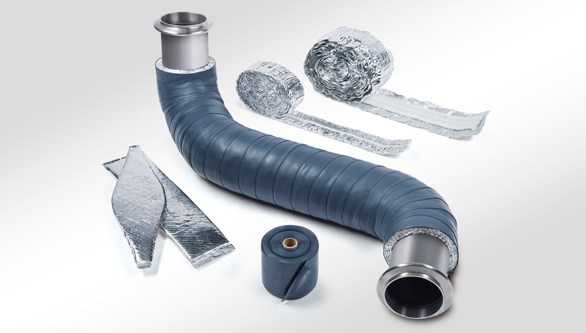 Metcap® is the most adaptable metal encapsulation system for insulated exhaust and charge air pipes, with a lightweight outer shell made from embossed stainless steel foil that’s just 0.4mm thick. This is formed into shape using in-house designed and produced tools and jigs. 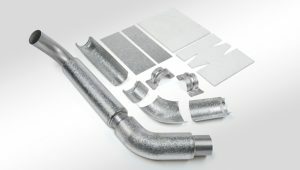 Specified insulation material is cut and applied directly on to the pipework provided. 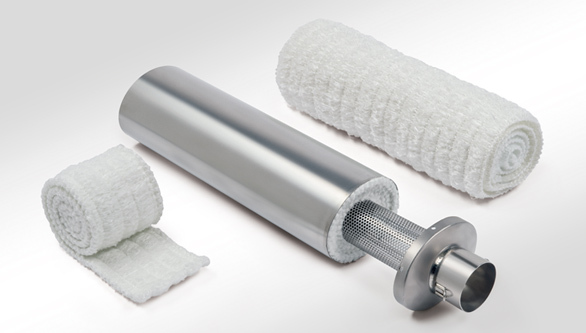 The formed stainless steel shells are then fitted around the insulation and securely welded together and on to the pipe, forming the protective outer covering. Metcap® provides a robust, durable and lightweight finish that has a high visual appeal and is also fully oil and water resistant. Designed for prototyping and low volume OEM applications. Our modular press-form tooling system normally requires NO upfront tool costs. 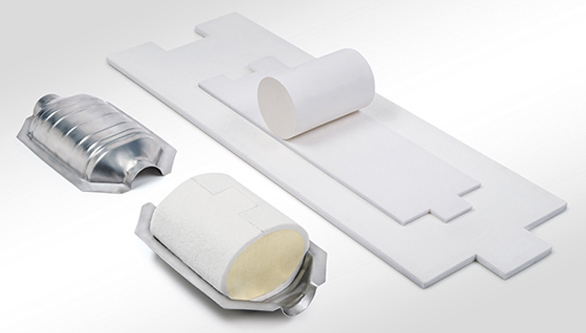 Used for intermediate OEM production runs, where the cost of specific press-form tooling is economically viable. The most cost-effective solution for major volumes of OEM parts. 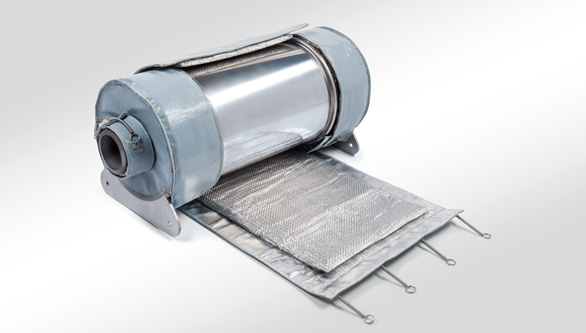 The insulated formed components can be applied in-house, or supplied separately for installation by a third party.